Win one of the fifty licenses for Recover Passwords! 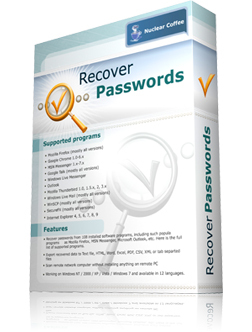 Recover Passwords is a smart utility that helps to find your lost passwords. It will show passwords saved by web-browsers, instant messengers, email clients, FTP clients and other programs.